I didn’t want to do a full fledged nail art (on full 5 fingers) as it would have masked the prettiness of this color. 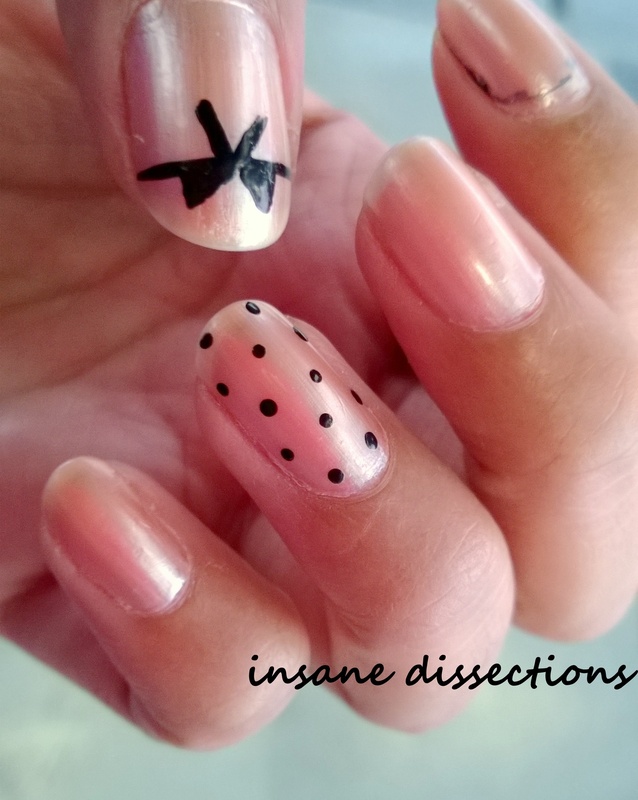 So I decided to accent my ring finger with teeny tiny harmless dots. What else to compliment with Rose gold other than Bows! Ooh and the mark you see on my index finger is the voting ink. 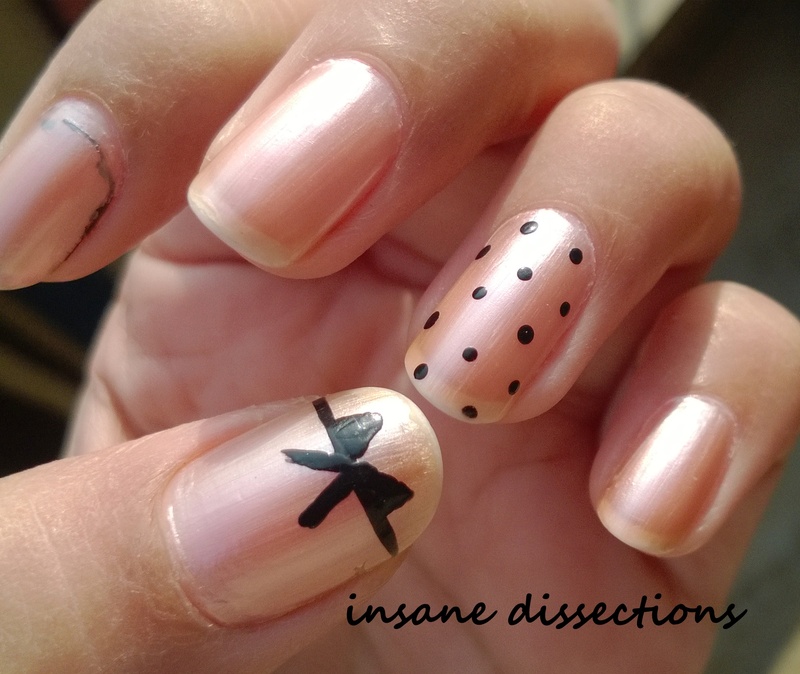 This nail art reminds me of a vintage-y dress. 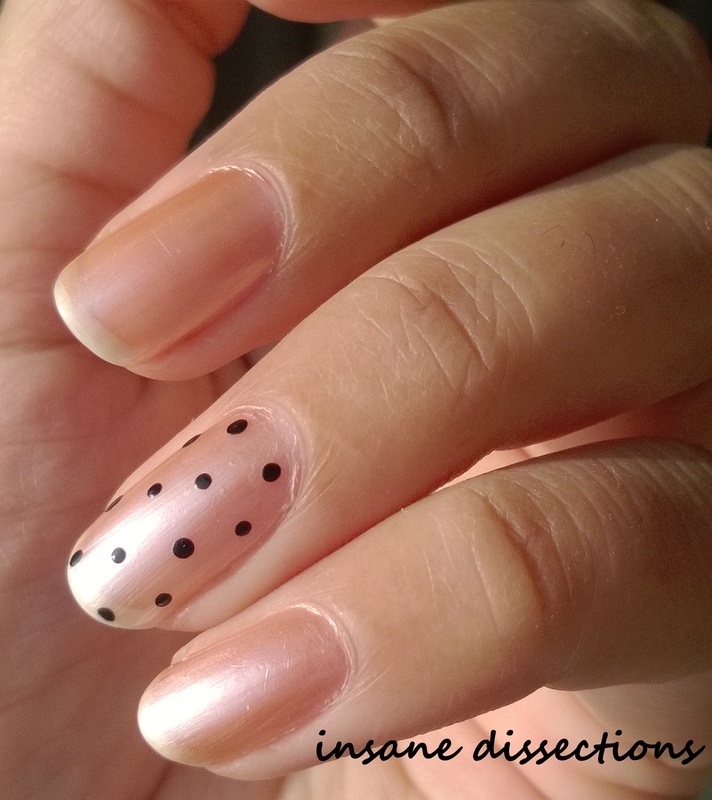 Don’t know if it is Rose gold or bows and polka dots, but it sure does ring a bell. 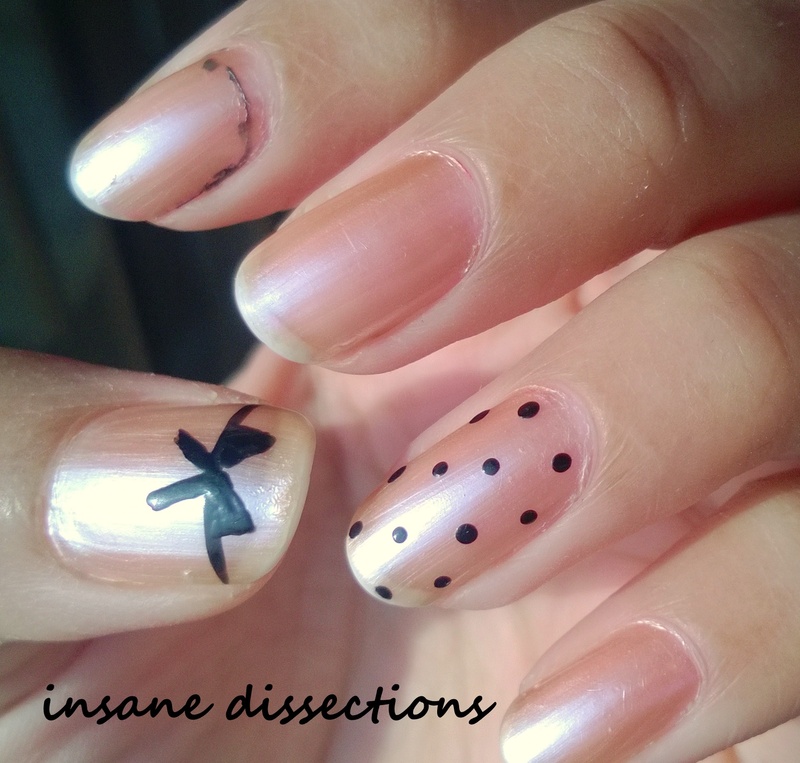 You can check my other Accent nail arts HERE, HERE and HERE.